Joe Strayhorn holds a BA in psychology from Amherst College and an MD from Northwestern University Medical School. He completed his general psychiatry residency and research training fellowship at Duke University, then carried out a fellowship in Child and Adolescent Psychiatry at the University of Pittsburgh. He was a faculty member at the University of Pittsburgh and the Drexel University College of Medicine, and he has carried out several research projects on psychoeducation. Since 1994 he has been in private practice, specializing in child psychiatry. He lives in Ithaca, NY. Natalie Pleczynski acquired a B.S. in Human Resources/Early Childhood Development from West Virginia University and a M.S. in Early Childhood Education from the University of Pittsburgh. Natalie also completed the Child Life Specialist-Child Assessment Training Program at Pittsburgh’s Psychoanalytic Center. 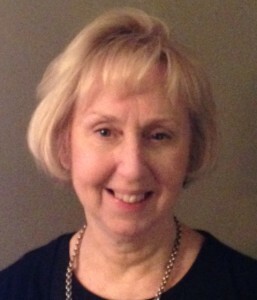 She served as an Early Childhood Teacher (Head Start and Kindergarten) in the Pittsburgh Public Schools for more than 30 years ending her time with Pittsburgh Public Schools as a Reading First Coach supporting reading instruction in Kindergarten through Third grades. She provided professional development training for such organizations as: Pittsburgh Public Schools, the Berks County Intermediate Unit, the Western Pennsylvania Writing Project, and the Pittsburgh Associations for the Education of Young Children and International Reading Association Conferences. Currently, Natalie works as a Field Supervisor for Student Teachers and Instructor in the University of Pittsburgh’s School of Education: Department of Instruction and Learning. 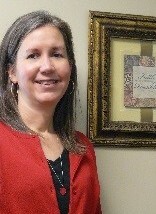 She lives in Pittsburgh, PA.
Kathy Masters has a BA in Developmental Psychology from Purdue and over 25 years of experience as a catechist in Children’s, Youth, and Adult Faith Formation. She is currently with the Seneca Valley School District near Pittsburgh, where she works with Special Education students in 7th and 8th grade. She lives in Wexford, PA. Rob Kyff is the language columnist for the Hartford Courant, as well as a teacher and writer. His column is syndicated nationally as "The Word Guy" by Creators Syndicate of Los Angeles and appears regularly in several daily newspapers, including the Pittsburgh Tribune Review and Sacramento Gazette. His essays have appeared in many newspapers, including the Washington Post, Chicago Tribune, Boston Globe, and Baltimore Sun, and his articles have appeared in Reader’s Digest, American History and Northeast. He has written two books: Word Up! – A Lively Look at English and Once Upon a Word – True Tales of Word Origins. A native of Armonk, N.Y., Mr. Kyff earned a BA at Amherst College and an MA in American studies at the University of Minnesota. 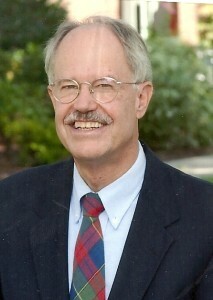 Since 1977, Mr. Kyff has taught English, history and journalism at Kingswood-Oxford School in West Hartford. He has also served as the school’s director of public affairs, editor of its alumni magazine, and advisor to the student newspaper, which has twice been named the second-best high-school newspaper in the state in the Hartford Courant scholastic journalism contest. In 2003, Mr. Kyff was named the recipient of the Lazear Chair, and faculty chair endowed in the name of former Kingswood-Oxford Headmaster Robert A. Lazear. 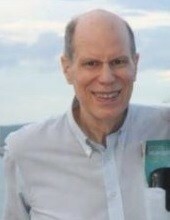 He lives in West Hartford, Conn.
Carla Weidman retired as the lead psychologist and Clinical Assistant Professor in the Child Development Unit at Children’s Hospital of Pittsburgh (CHP) where she specialized in developmental evaluations of young children, often with autism spectrum disorder. Prior to moving to CHP, she was an Assistant Professor of Psychiatry (Psychology) in the Department of Psychiatry at Allegheny General Hospital in Pittsburgh. 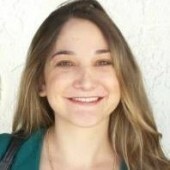 She also worked with Joe Strayhorn as the project coordinator for the NIMH funded Preschool Project at Western Psychiatric Institute and Clinic. 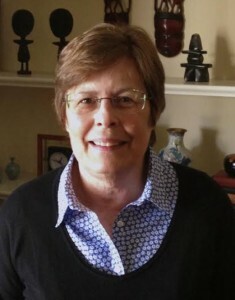 In addition to clinical work, she supervised psychology interns and taught developmental and educational psychology courses at local universities. Since retirement, she has been teaching in the Osher Life Long Learning Program at Carnegie Mellon University. Following a bachelor’s degree in English from Goucher College, she earned an MA in Social Work from the University of Chicago and a Ph.D. in Educational Psychology from the University of Minnesota. Amanda Kleinrock graduated from the University of Florida with a B.S. in Psychology, and then received her J.D. from Cornell Law School in 2011. She currently serves as a staff attorney of the Legal Aid Society of Palm Beach County, Inc., where she practices fair housing law. She lives in West Palm Beach, FL.